Do you love zombies? Michael Jackson? All out fun times? Then you need to help us 'Thrill The World' in Christchurch this October! Thrill The World is an annual worldwide simultaneous dance of “Thriller” for world records and charity. 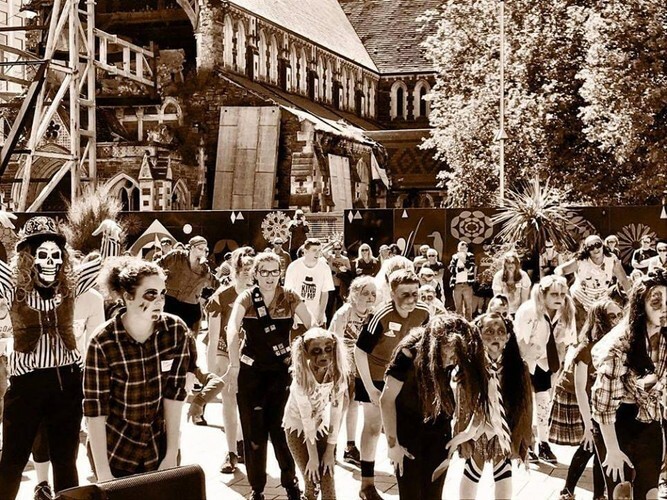 Anybody can learn the dance, dress up as a zombie and join this global community, but the best thing about doing it in Christchurch is we have our very own post-apocalyptic landscape! So, for the second year running we will be getting our zombie freak on in Cathedral Square. To make it super simple for you to learn the dance, we've organised 4 free dance workshops and we've invited along the magnificiant Minifies to teach their miracle make-up techniques to help you find your inner zombie. 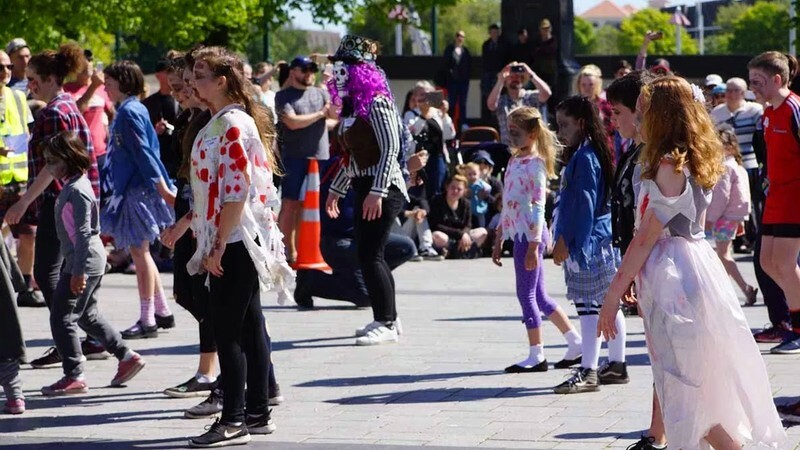 On 'Thrill Day' we'll be passing around the hat for 'Dancing Like the Stars' - a 9-week dance programme for low decile schools that culminates in two outstanding nights of public performance at the historic Isaac Theatre Royal.